In a recent ruling by the California Court of Appeals’ Second District, a panel of judges ruled that being associated with a person with a disability who requires the employee’s assistance entitles that employee to reasonable accommodations in the workplace, similar to those which a disabled employee would be owed under California’s Fair Employment and Housing Act (FEHA). The case in question is titled Castro-Ramirez v. Dependable Highway Express, Inc., and the plaintiff’s claims will now move forward toward trial. Luis Castro-Ramirez was hired by Dependable Highway Express (DHE) in 2009 as a driver. During the interview process, Castro-Ramirez made it clear that he needed to be home by a certain time every evening to administer his son’s dialysis treatments. For years, Castro-Ramirez’s supervisors had no difficulty accommodating this request, scheduling him to start his shifts early in the morning. In March of 2013, Castro-Ramirez’s supervisor changed, and so did Castro-Ramirez’s schedule. The driver saw his shifts begin later and later, preventing him from administering his son’s dialysis treatments. Earlier start times remained available, but Castro-Ramirez’s supervisor scheduled other drivers to take those shifts—even where clients who required earlier deliveries specifically requested that Castro-Ramirez complete the delivery. Castro-Ramirez requested that he be scheduled earlier and complained to his former supervisor, but the driver’s schedule did not change. One day, when Castro-Ramirez was scheduled for a shift that would have prevented him from arriving home in time to administer his son’s dialysis, he requested a different shift or that he be given the day off. His supervisor refused these requests, telling the driver that he would need to work that shift to avoid being fired. Castro-Ramirez failed to appear for that shift, was not put on the schedule for the following three days despite appearing at the job site ready to work, and was then terminated. Castro-Ramirez filed a lawsuit claiming, among other things, disability discrimination, failure to provide reasonable accommodation, and wrongful termination. His lawsuit was dismissed by the trial court on DHE’s motion for summary judgment, on the basis that there is no right to protection from associational disability discrimination, and he appealed. The Court of Appeals overturned the trial court’s decision, finding that Castro-Ramirez did have a claim for associational disability discrimination. The court’s opinion began by pointing out that, while associational disability discrimination is not often the subject of claims, it is barred by FEHA. The court noted that FEHA’s text barring discrimination against those with a physical disability includes a ban on discriminating on the basis of the “perception. . . that the person is associated with a person ‘who has, or is perceived to have’ a physical disability.” The court then concluded that, since employers are disallowed from discriminating against employees associated with a disabled person, they should likewise be obligated to provide the same reasonable accommodations provided to disabled employees themselves which allow an otherwise-qualified employee to complete the essential tasks and responsibilities of a position. The Court of Appeals also found that Castro-Ramirez had provided adequate facts to support a claim that DHE had terminated him on a false pretext, when in reality he was terminated for his association with his disabled son, and in retaliation for seeking an accommodation based on this disability. The opinion in this case has been published, which makes it binding law for California. DHE’s petition for rehearing was denied, but they still may appeal the decision to the California Supreme Court. For now at least, employers throughout the state would be well-advised to consider requests for accommodations based on an employee’s association with a disabled person. 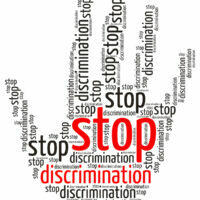 If you are an employee who has been the victim of illegal employment discrimination in California based on a disability or other protected class, contact the knowledgeable and trial-ready Bay Area employment discrimination attorneys Richard N. Koss or Rand L. Stephens for a consultation on your case, in San Francisco or the Peninsula at 650-722-7046, or in the East Bay at 925-757-1700.